Dietitians for Professional Integrity co-founder and operational director Elizabeth Lee, MS, RD, attended an Academy of Nutrition and Dietetics adult weight management training last week in Costa Mesa, CA. General Mills was one of the sponsors (along with Truvia and Abbott Nutrition). “General Mills was here today to talk about low calorie options that RDs can use as recommendations. The products highlighted were Yoplait Light and Yoplait Greek 100. Nourishment (by improving products’ nutrition profile). 3. Formed partnerships with key organizations such as the AND, President’s Council on Physical Fitness and Sports, and the USDA Center for Nutrition & Policy Promotion. 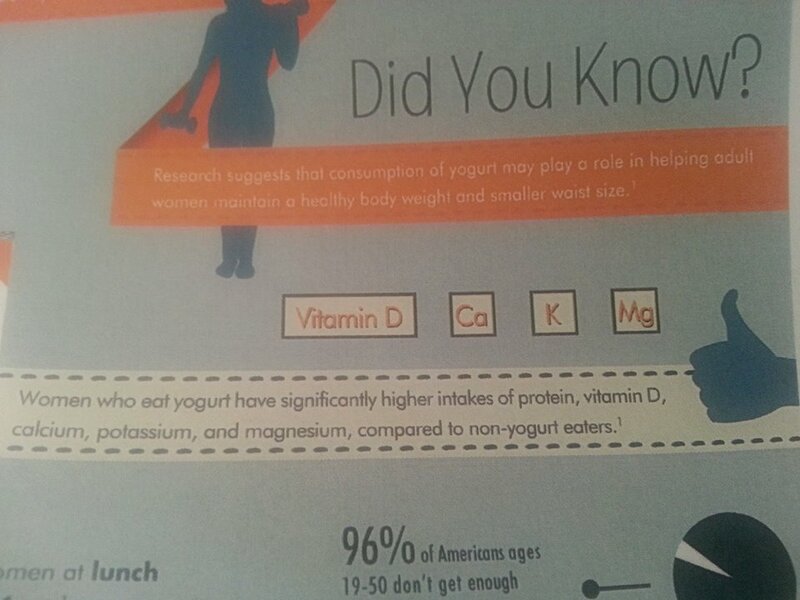 “Research suggests that consumption of yogurt may play a role in helping adult women maintain a healthy body weight and smaller size”. This claim has not only been challenged time and time again (including by the Federal Trade Commission), but it is also a perfect example of barely-disguised gendered marketing reframed as science.